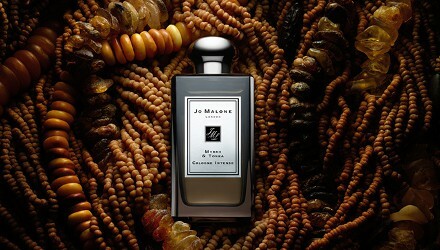 Jo Malone will launch Myrrh & Tonka, a new unisex fragrance in the Cologne Intense Collection, in January. Myrrh & Tonka follows 2015's Orris & Sandalwood. Myrrh & Tonka was developed by perfumer Mathilde Bijaoui, and features notes of myrrh, almond, lavender, vanilla and tonka bean. Jo Malone Myrrh & Tonka will be available in 100 ml Cologne Intense. I could have sworn I smelled this already when I went to a JM launch party.I could be wrong. But, this one wasn’t my cup of tea. I enjoy sweet, fruity, floral scents. This one definitely doesn’t fall into that category. I can’t remember smelling almond notes at all and I love almondy scents. My boyfriend would probably like this and I would enjoy it on him, but not for me. You may well have, I know it was presented to the press a bit ago.